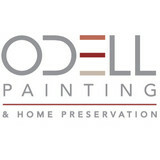 Odell Painting, LLC, is a custom residential painting contracting business operating since 1987. Every one of our employees has years of experience with both interior and exterior work in some of the finest homes around. We are certified in lead-safe practices, which means thoroughly covering both your indoor and outdoor areas during any washing and sanding when working in older homes. We all operate with a strong work ethic, which we call the three “Odell Painting P’s”: We are polite, precise, and prompt. Ori has worked as a home improvement contractor since 1994. He joined his family home improvement business as a 3rd generation contractor at the age of 21 and started supervising and completing projects when he was 24. Ori is enthusiastic, meticulous, and passionate about his work; he always make sure that every renovating project is perfect, and the customers are absolutely satisﬁed. In 2000, Ori graduated from college as an associate civil engineer. After graduating, he renovated houses for one year in Australia and for 2 years in California. In 2005, Ori moved to NJ now focuses on work in NJ and PA. In just 9 years, Ori has established his business with more than 500 loyal customers. “I really believe in hard work and communicating with my customers through all stages of a project, in perfecting the renovations’ result. I don’t accept final payment until my customers are 100% satisﬁed!” 90% of Ori’s customers are from referral. “They see my work in their family’s, friends’ and neighbors’ houses. They hear about me and they call me!” Ori’s hobbies include photography, art, dancing, and completing marathons and triathlons. He also enjoys learning new home improvement materials, techniques, as well as traveling in the world (Holland, New-Zealand, Brazil, Argentina, Australia, South Africa, England, Belgium, Mexico, Chile, Peru, the US, etc. ), helping and inspiring other people to have successful lives! 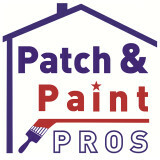 Excellent full service painting company with 20+ years experience. We do restoration work, older homes as well as new construction. There are two elements that are required for an excellent paint job. First, it takes time and experience in order to learn ones craft. We have spent the time needed to learn about techniques and products so that our work is first rate. The second element is caring about doing the best job for the project. For us this means enjoying the process, making sure the prep is done properly and that no step gets skipped. Another way to say this is attention to detail. These are the reasons why we do excellent work that we are proud of. We are confident that you will be happy with the end result. For the past three generations, Four Golden Brothers Painting has offered high quality house painting, interior painting, and exterior house painting with top of the line assurance and customer satisfaction. Placing an emphasis on going beyond the expectations of you, the clients, we strive to deliver the best results with our interior and exterior house painting services. As a dedicated company, we understand the importance of being prompt, precise and also efficient in terms of our interior painting and exterior house painting services. As members of the community we know the sensitivity that goes into working in another individual's home. Respect and courtesy are instilled within each and every one of our staff. 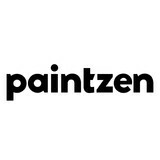 We are ready to serve as your painting company and deliver you magazine quality results at a budget friendly price. It all starts with a free estimate.